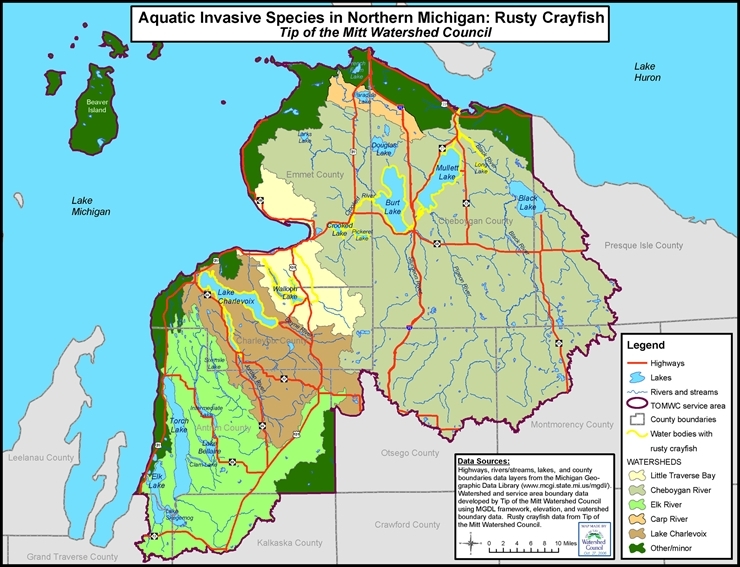 Rusty Crayfish are invasive crustaceans spreading to lakes, rivers, and streams in several areas of North America. They are more aggressive than other native crayfish, better able to avoid fish predation, and can harm native fish populations by eating their eggs and young. They can displace native crayfish, hybridize with them, and graze on and eliminate aquatic plants. 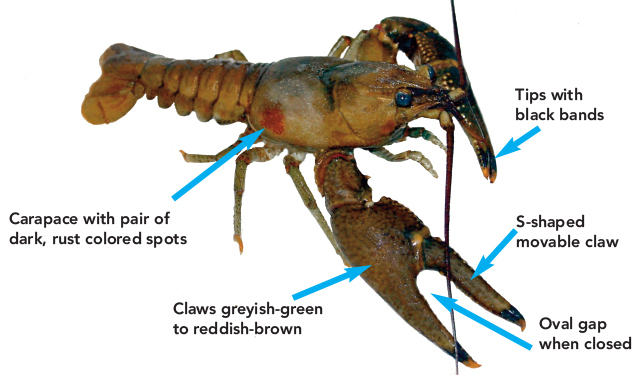 Rusty Crayfish have likely spread through bait bucket release by anglers, aquarium release by hobbyists, activities of commercial harvesters, and live study specimen release by teachers and students who buy them from biological supply houses. Females can carry fertilized eggs or a male’s sperm so even the release of a single female could establish a new population. Your help detecting and reporting new infestations is vital to preventing their spread.